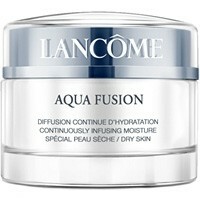 This silky cream immediately melts into your skin, drenching it with moisture in a burst of freshness. Perfectly absorbed, it continuously saturates your skin from within and durably restores its ideal moisture level. Your skin is intensely hydrated and radiates with a healthy glow. Absorbed easily enough, scent was ok.
Far too pricey - it's no better than an Avon moisturiser :-(....glad mine was a gift!